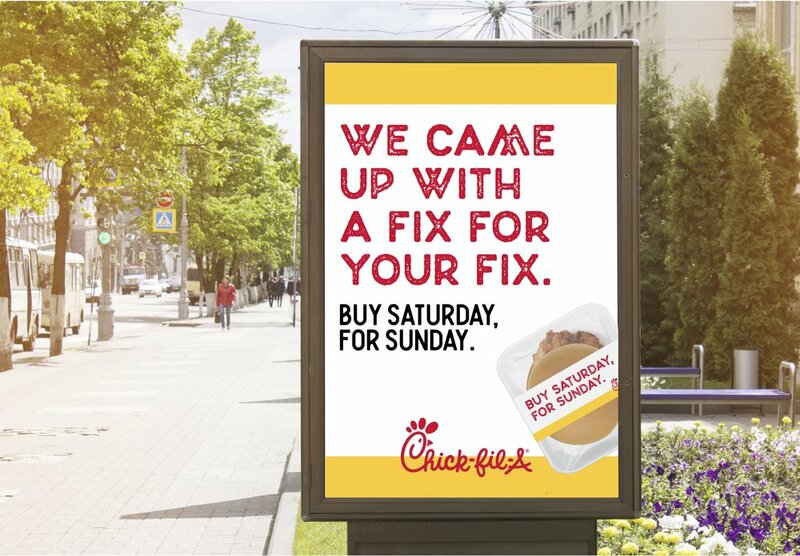 Chick-fil-A will never be open on Sunday, but maybe they don't need to be. With new "state of the art" packaging, Chick-fil-A will be serving up chicken sandwiches on Saturday night that you can enjoy on Sunday. In order to serve up as many chicken sandwiches as possible on Saturday night, Chick-fil-A will now have a food truck going around in bar areas. Simply follow the logo in the sky to find a food truck. 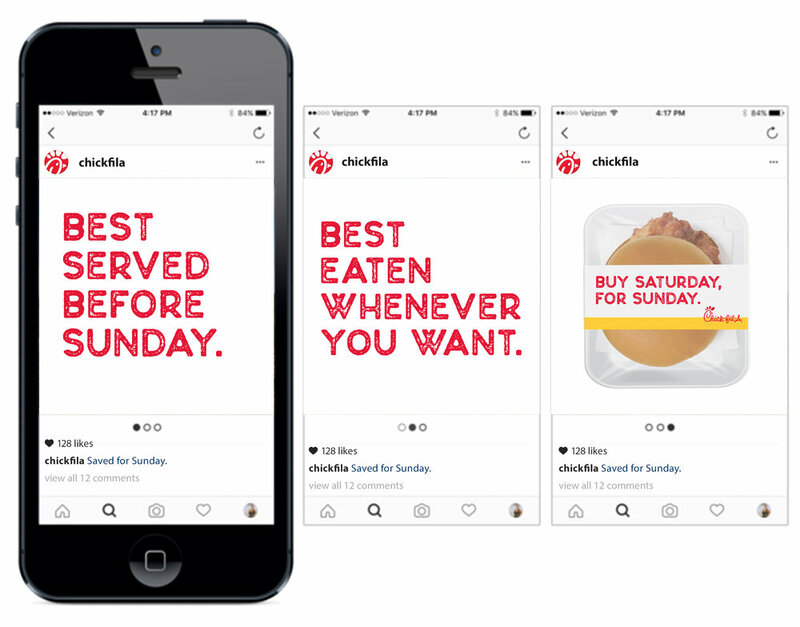 We will add notifications to Chick-fil-A's app to remind people to save their Sunday. When they swipe for more it will show the user where the nearest location is.